Could sales slow at Artbo as political conservatism deepens in Colombia? 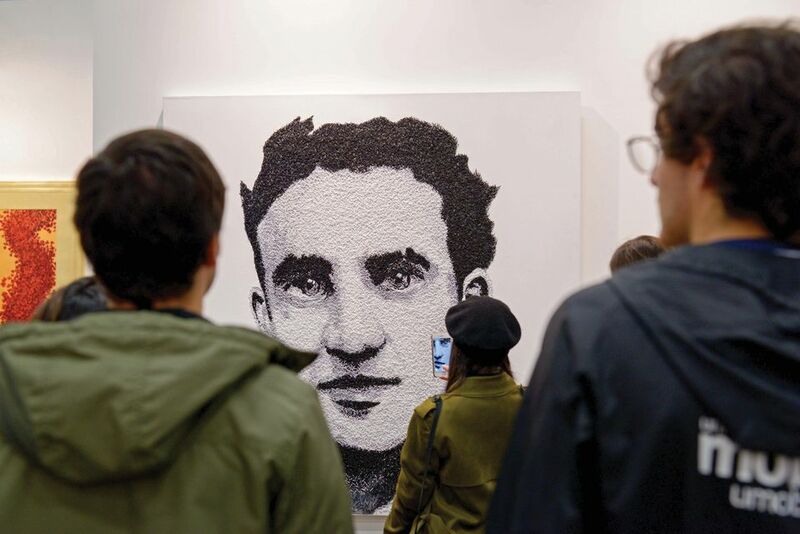 The contemporary art market in Bogotá has expanded rapidly in the past decade thanks in part to the International Art Fair of Bogotá (Artbo), which opens its 14th edition on 25 October. Yet the divisive election of conservative president Iván Duque in August and resulting political tension could stymie sales. Artbo’s director, María Paz Gaviria, the daughter of former president and national director of the Colombian Liberal Party, César Gaviria, says that the aim of the fair is always to serve as more than a sales platform and to “show the importance of and strengthen the cultural economy”. While she acknowledges that recent political shifts may disrupt the socioeconomic conditions that have allowed Bogotá’s art scene to grow, she says the fair will continue to “serve as an institutional platform for Latin American art”. Artbo is sponsored by the city’s privatised Chamber of Commerce and its profits are redistributed into year-round cultural programs. According to Gavira, this reinvestment scheme has resulted in a dedicated Colombian collector base, which has attracted foreign exhibitors to the fair as well. This year’s edition will welcome galleries from 19 countries from Central and South America, as well as Europe and the US. However, some dealers are concerned the fair’s internationalism may not be enough to buoy the local market when the country’s economy at large has been in flux. Liz Caballero, the owner of Sketch gallery says her sales this year have been slow due to the dwindling political confidence of Colombian buyers. “We’re a conservative country with a history of economic upheaval,” she says. “When there’s a crisis, people aren’t going to buy art.” Though she has participated in Artbo several times, she did not apply for a stand this year in an effort to cut overhead costs. Caballero says Bogotá’s contemporary art market swelled quickly, but the country’s growing wealth disparity is one of the biggest threats to its sustainability. Though Duque has promised economic reform to rectify Colombia’s income inequality, some fear his business-friendly tax cuts will worsen the deficit and force unpopular reforms while destabilising the country’s peace. “When you’ve grown up dealing with corruption and violence, you doubt change,” Caballero says.